Each week we feature an app that has caught the attention of the Crozdesk community. We look for exciting features that make our lives easier, apps that take a radical approach to existing problems or a service that has everyone talking about it. In other words, apps that we think you should know about. 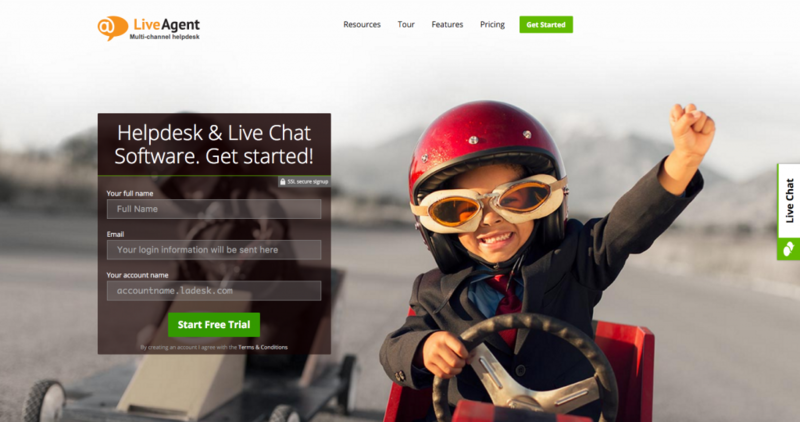 This week’s featured app is live chat and help desk solution LiveAgent – a sophisticated multi-channel customer service and support solution, designed to connect businesses with their customers. 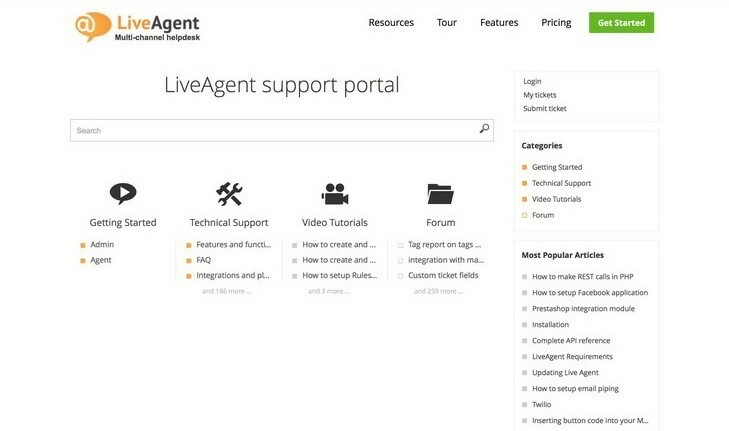 Forming the focus of all user activity within LiveAgent, the dashboard can be used to set up live chats; raise, manage and assign tickets and generate reports, as well as configuring department and agent settings. 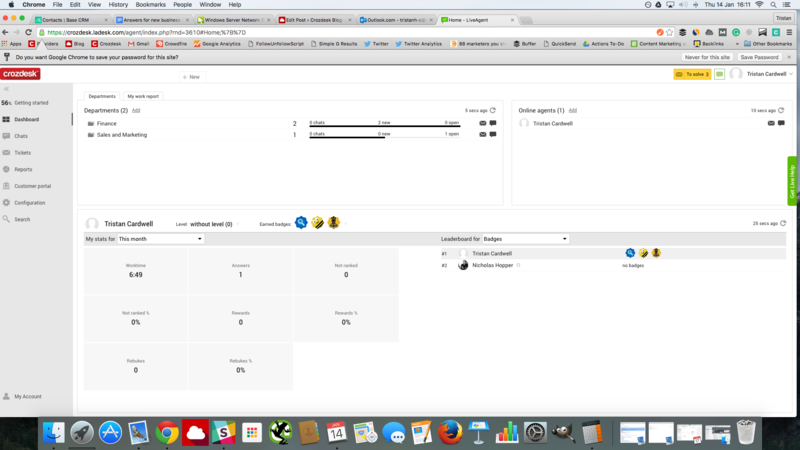 New users are guided through a series of steps designed to ensure they make the most of LiveAgent’s functionality. 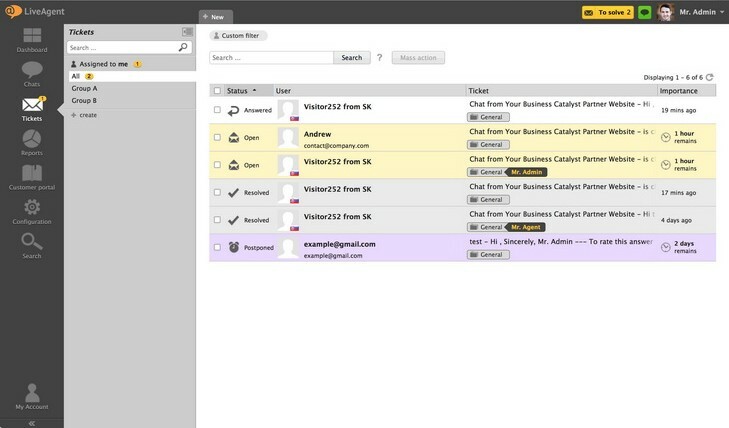 The first of LiveAgent’s core functions is the tickets feature; tickets keep track of all communication with customers, whether emails; live chats; phone calls; facebook messages; tweets; internal notes or other data related to a single customer. Once created, tickets feature a unique reference number and have five different possible phases: New, Open, Answered, Resolved and Postponed. 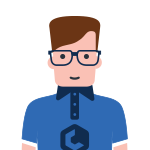 When a new communication is received from a customer, LiveAgent will either open a new ticket for that conversation or, if the conversation is related to an existing ticket, staff members or “agents” can re-assign that conversation to the correct ticket. In the same way, if an agent has a customer’s phone number, Facebook or Twitter details on record, LiveAgent will assign any conversations by phone, Facebook or Twitter to that customer. 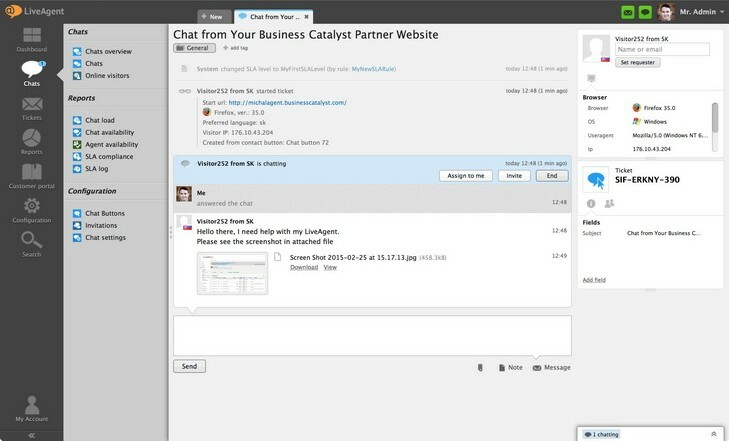 The Live Chat feature within LiveAgent enables users to establish chat communication with their customers. 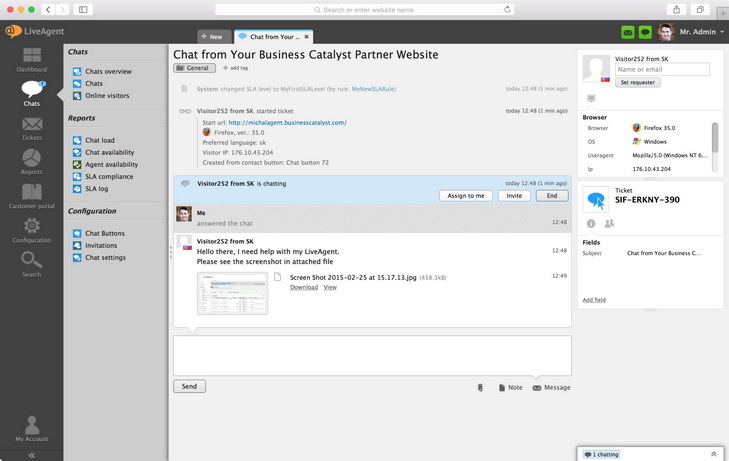 Once installed on a website, visitors to that URL will receive an invite to chat via LiveAgent’s chat window. Custom chat invitations can be set up in order to engage customers at a distinct point in their purchase journey. As an example, a LiveAgent chat invite might be directed at customers visiting a checkout page in order to increase purchase confidence and resolve any questions the customer might have at that stage. Other chat functions within LiveAgent include customisable chat buttons and department-specific chat routing, as well as an agent-orientated chat overview, allowing monitoring of the number of engaged agents and customers waiting to chat. 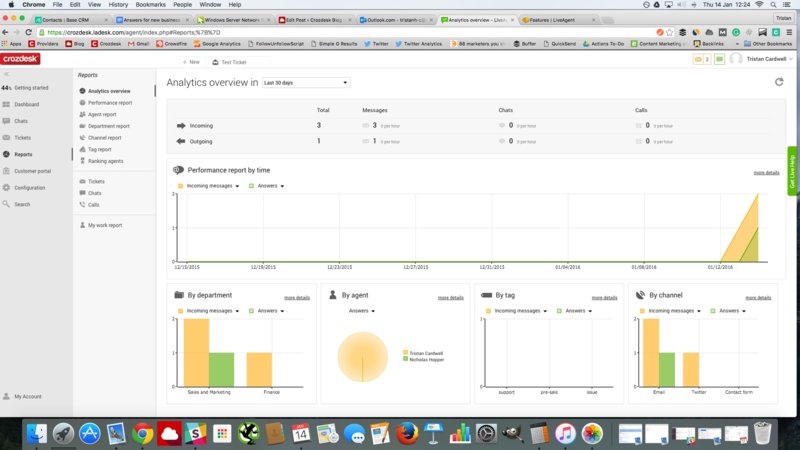 A useful reporting dashboard is available to help you monitor incoming and outgoing tickets and chats. Among the data visualisations available here is a graph displaying the number of tickets received and answered over time. This graph can be altered to display a range of metrics including Missed Chats, Finished Chats and Average Chat Time. 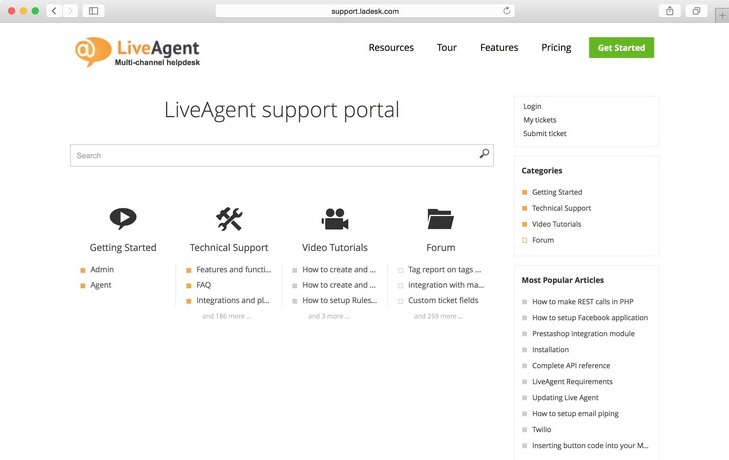 LiveAgent’s offline support portal stores knowledge base articles, forum posts and feedback, providing customer support when agents are offline. 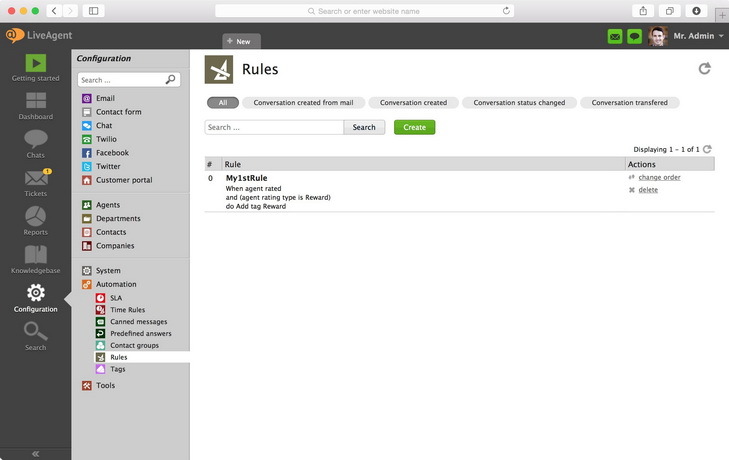 Each knowledge base article created comes with a link for sharing with customers or embedding. Features of the portal include a search widget, enabling customers to search within the knowledge base; the ability to attach files to articles and a customer forum feature which transforms each forum post into a ticket. 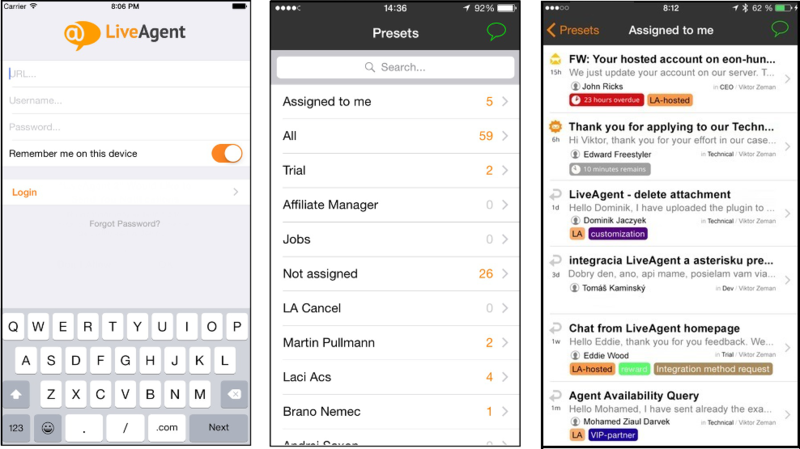 Usefully, LiveAgent offers multilingual functionality, currently supporting 39 languages and is compatible with Android and iOS, allowing agents to offer support via their phone. LiveAgent integrates with a range of other apps including Zapier; email marketing apps such as AWebber, GetResponse and Mailchimp; billing management tools such as 2Checkout and Braintree and eCommerce apps including Opencart and Shopify. 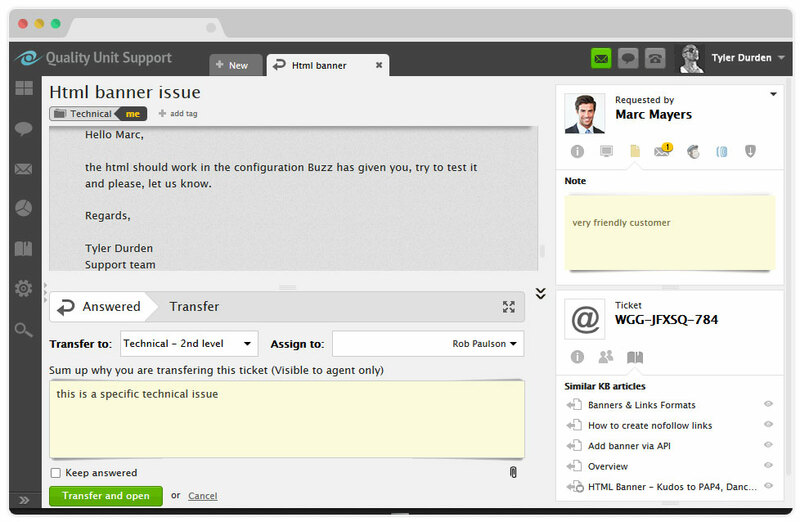 Zendesk and Freshdesk plugins are available to assist with the migration of tickets from previous helpdesk providers. 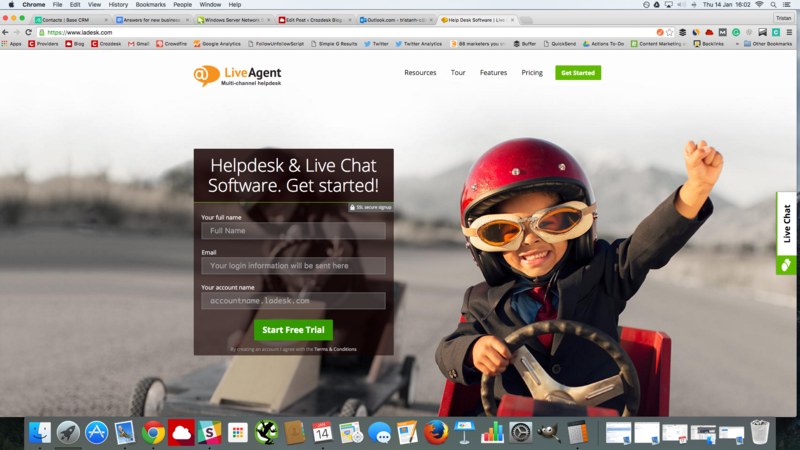 LiveAgent is an impressive tool, enabling businesses to engage with their customers by offering live chat and help desk functionality. LiveAgent has been carefully designed to allow businesses to handle large volumes of customer queries in an efficient way. LiveAgent’s ticket functionality is highly customisable, meaning that with a certain amount of forward thinking, even a very small business can set up LiveAgent to automatically distribute and allocate customer tickets. In short, LiveAgent enables a small business to offer the standard of customer service which might be expected from a much larger or better-staffed organisation. This feature makes LiveAgent a valuable tool for small businesses and startups trying to offer high-level customer service on a small budget. Find out more about LiveAgent, visit the LiveAgent Crozdesk provider page. useful tips, thank you for blogging. When is your next blog post available?